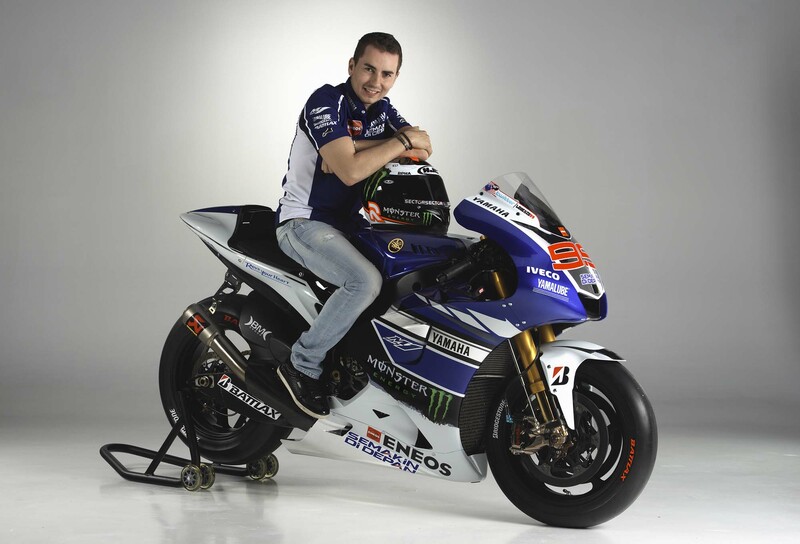 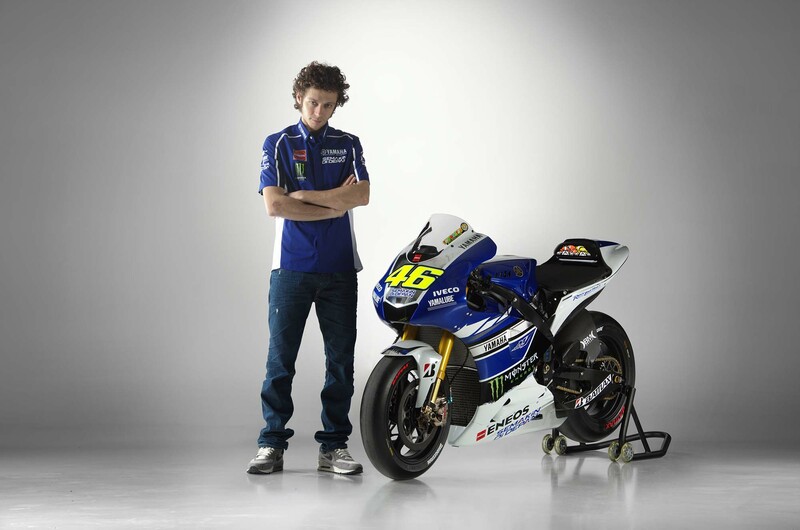 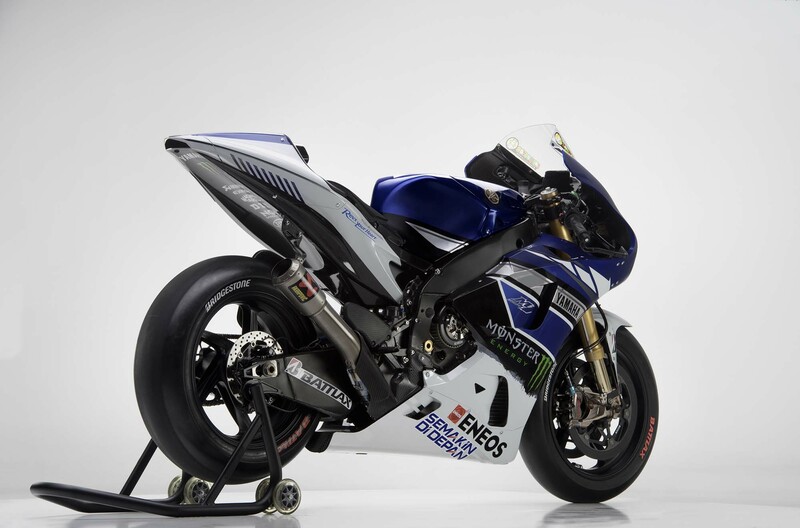 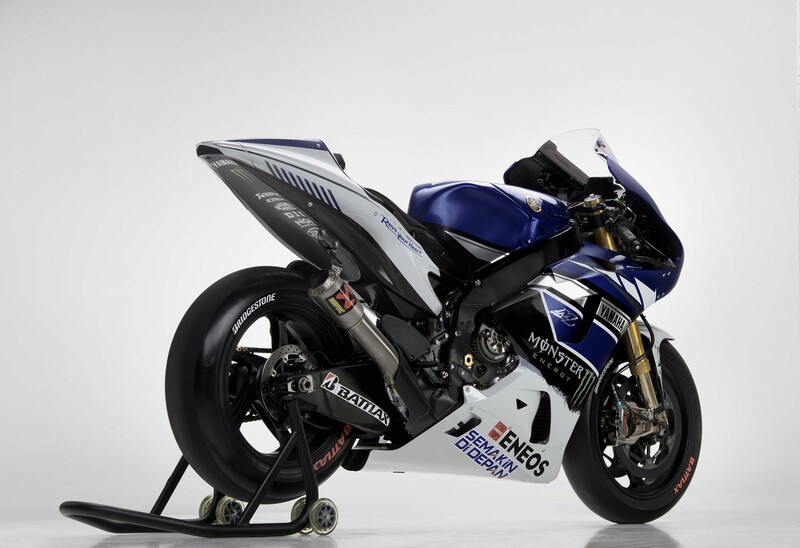 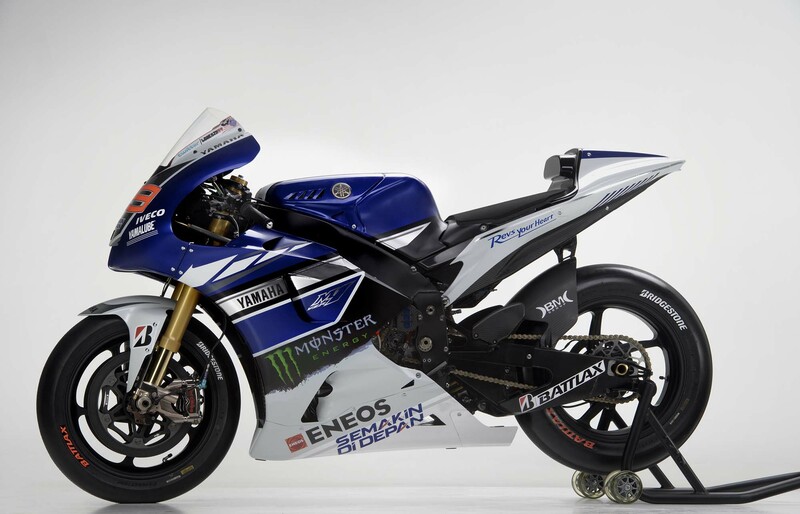 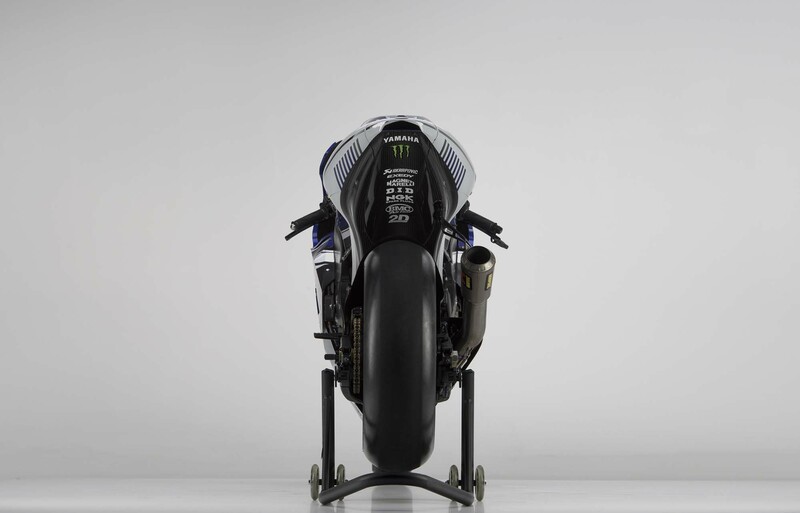 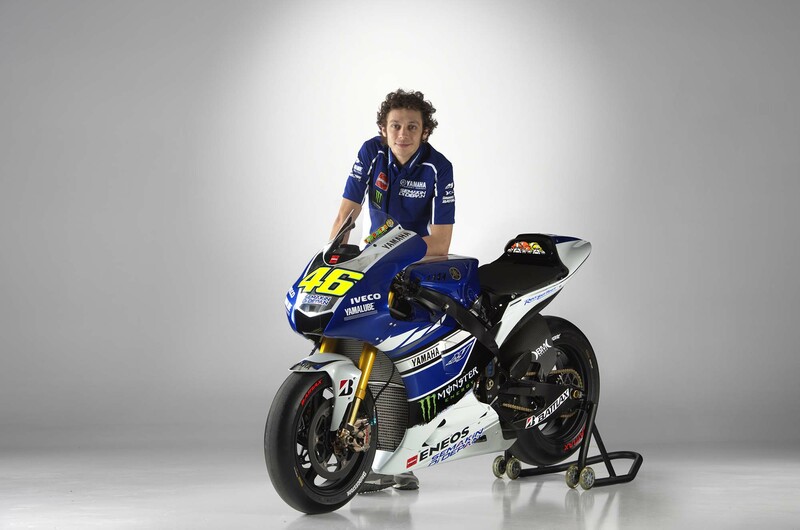 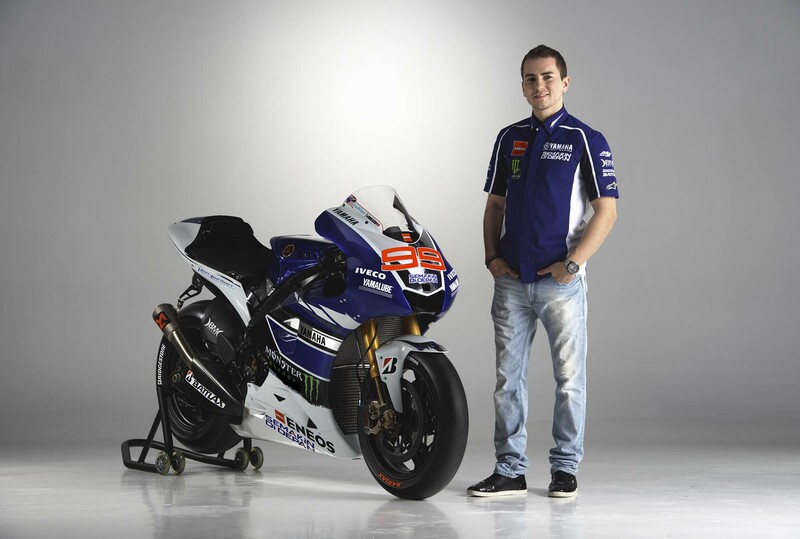 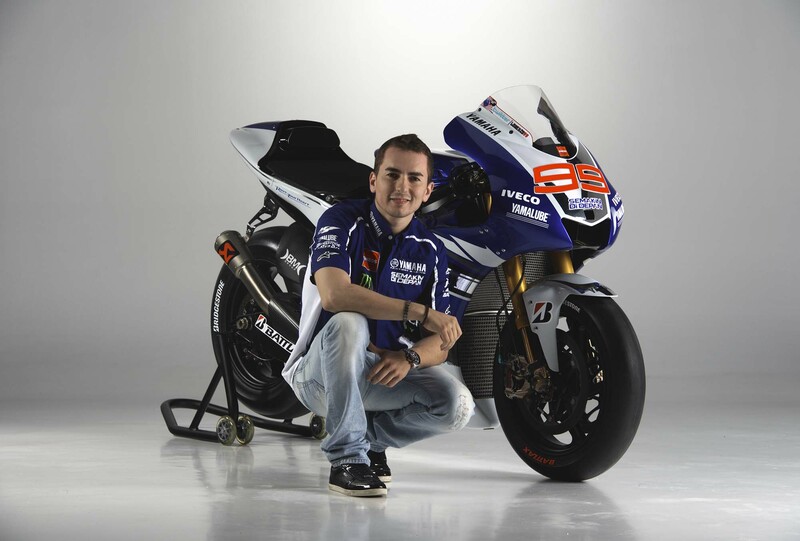 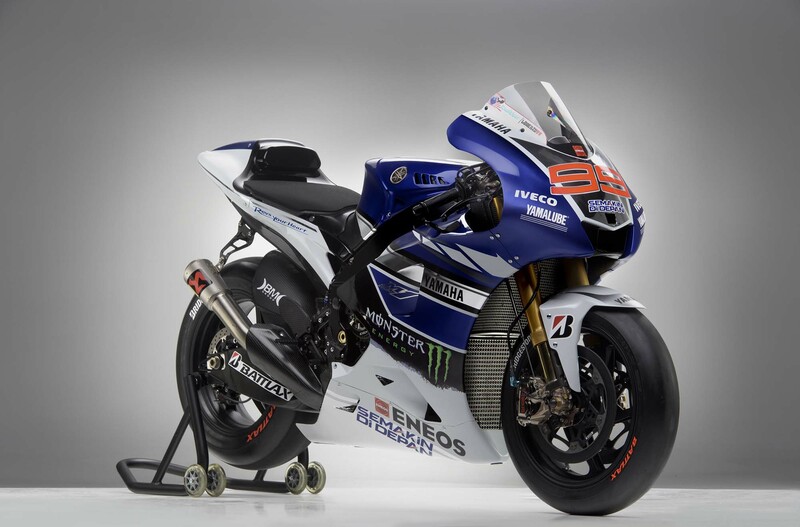 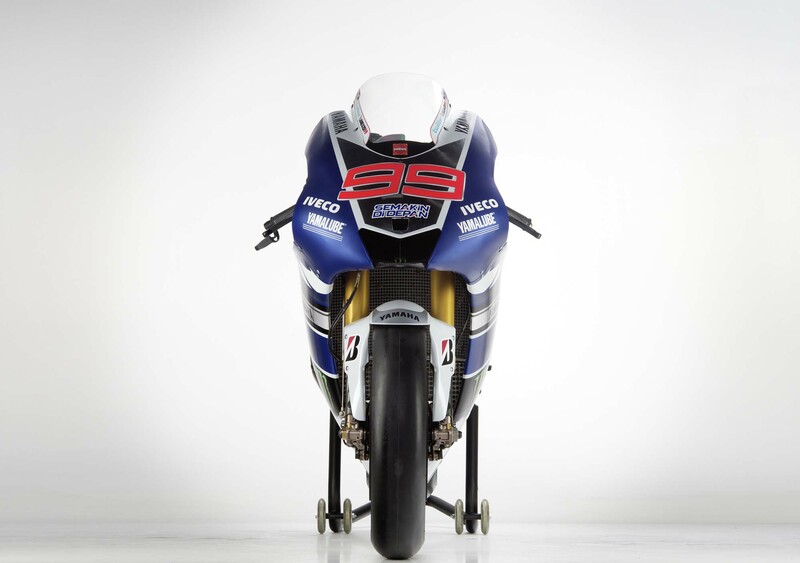 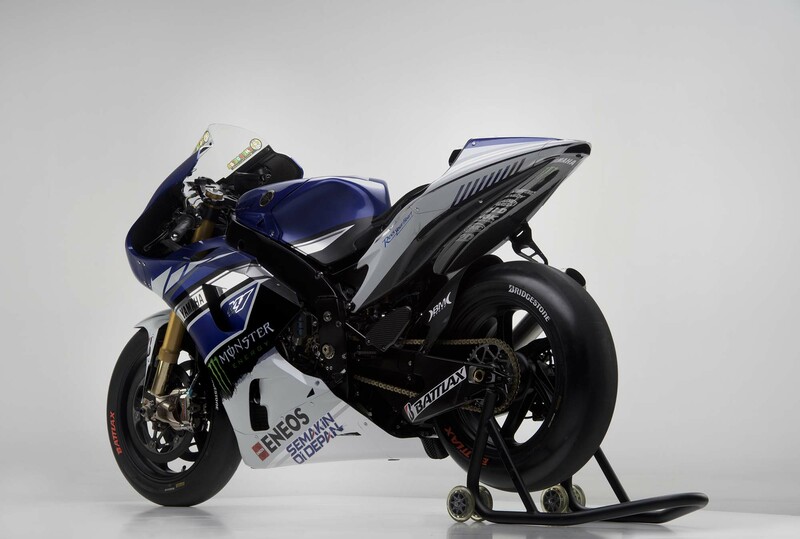 The last of the factory MotoGP teams to unveil its 2013 livery (Ducati Corse, Pramac Ducati & Repsol Honda here), Yamaha Racing has finally officially debuted the 2013 Yamaha YZR-M1 race bike, along with the team livery for riders Valentino Rossi and Jorge Lorenzo. 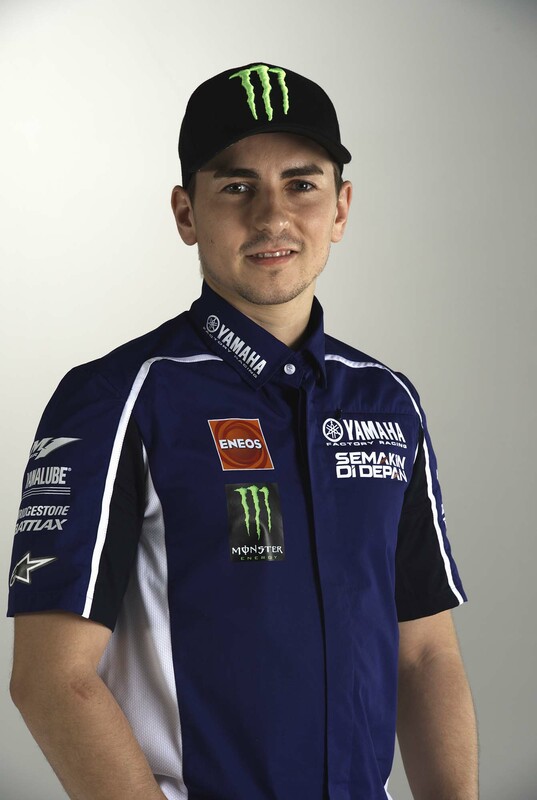 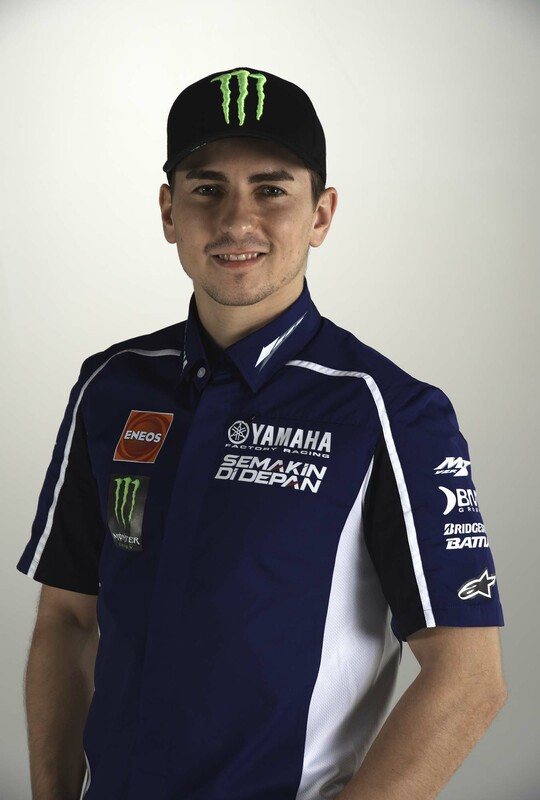 Unlike his 2011 defense, Lorenzo will not rock the #1 plate, perhaps getting wind of the dreaded number’s propensity to kill its owner’s chance of a successful title defense. 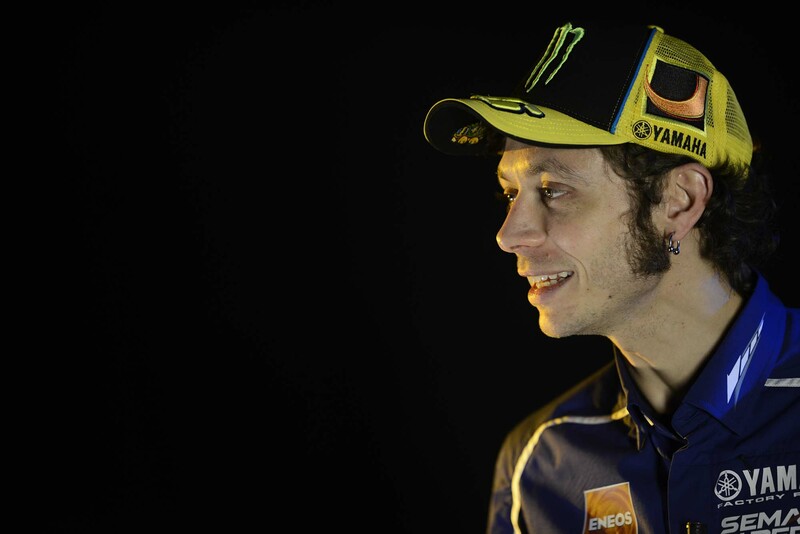 For Rossi fans, the return to Yamaha is surely a welcomed sight, with The Doctor’s neon yellow “46” working better with Yamaha’s blue and white paint scheme. Somethings just seem to go better together, right?